Most people have heard of the Celts—the elusive, ancient tribal people who resided in present-day England, Ireland, Scotland and France. Paradoxically characterized as both barbaric and innocent, the Celts appeal to the modern world as a symbol of a bygone era, a world destroyed by the ambition of empire and the spread of Christianity throughout Western Europe. Despite the pervasive cultural and literary influence of the Celts, shockingly little is known of their way of life and beliefs, because very few records of their stories exist. 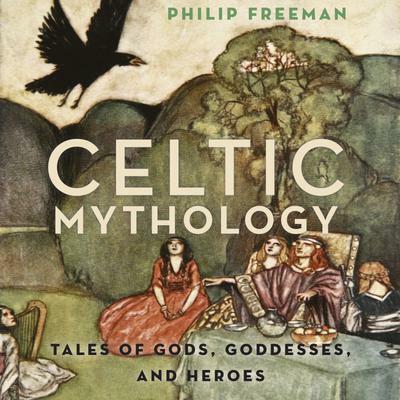 In this book, for the first time, Philip Freeman brings together the best stories of Celtic mythology. Everyone today knows about the gods and heroes of the ancient Greeks, such as Zeus, Hera, and Hercules, but how many people have heard of the Gaulish god Lugus or the magical Welsh queen Rhiannon or the great Irish warrior Cú Chulainn? We still thrill to the story of the Trojan War, but the epic battles of the Irish Táin Bó Cuailgne are known only to a few. And yet those who have read the stories of Celtic myth and legend—among them writers like J. R. R. Tolkien and C. S. Lewis—have been deeply moved and influenced by these amazing tales, for there is nothing in the world quite like them. In these stories a mysterious and invisible realm of gods and spirits exists alongside and sometimes crosses over into our own human world; fierce women warriors battle with kings and heroes, and even the rules of time and space can be suspended. Captured in vivid prose these shadowy figures—gods, goddesses, and heroes—come to life for the modern reader.